Mission: The Keyholder Residency Program offers emerging artists free 24-hour access to printmaking facilities to develop new work and foster their artistic careers. Residencies are free and one year long, starting on April 1st and October 1st each year, and they take place in the shared Artists’ Studio, including the solvent/etching area and the darkroom. Demographic: Only current legal US residents may apply (Social Security Number is a must!). Students enrolled in any kind of degree program at the time of the residency are not eligible. Keyholder Residencies are limited to emerging artists only. 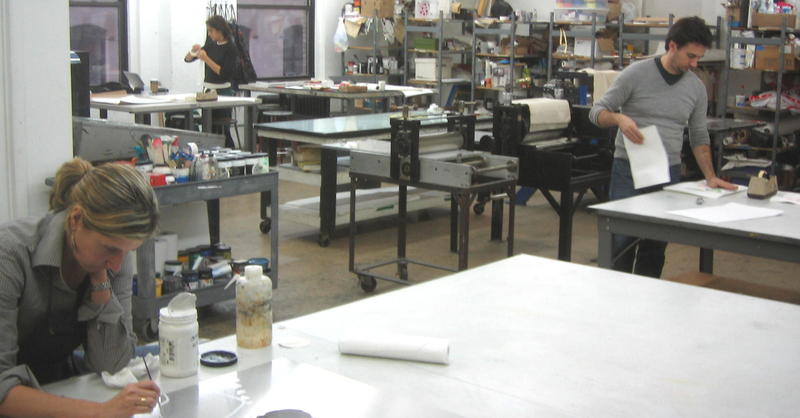 The Printshop defines emerging artists as under-recognized and under-represented artists at early stages in their careers. Artists without access to a studio space are encouraged to apply. Past recipients of the Keyholder Residency are not eligible. Artist duos or teams are not eligible; residencies are awarded per artist. Artist must reside in the New York metro area during the year of residency. Posted in Lower East Side Printshop Keyholders Residency, New YorkTagged $1000 stipend, 1 year, American, Art, art residency, Artist, Artist Residency, arts, career development workshops, Communal, Contemporary Art, contemporary artists, darkroom, develop new work, Emerging artists, emerging artists only, etching, Exhibition, exhibitions, Fall Residency, Fellowship, free application fee, Keyholders Residency, Lower East Side, Lower East Side Printshop, Manhattan, New York, New York City, no living, no living accommodations, No students, NYC, one year, one year long, Partial Stipend, Print Shop, printermakers, Printmaking, printmaking class, printmaking fascilities, printmaking skills are not required, Printmaking Studio, Rate My Artist Residency, shared artist studio, solvent/etching, Spring Residency, Stipend, storage space, Studio, Summer residency, supplies provided, United States, US Residents only, visual artists, Winter Residency, workspaceBookmark the permalink.